Helen Ingersoll is an artist, educator, and entrepreneur, and a trusted advisor on building and leading sustainable, mission-driven teams. Sincerus embodies Helen’s deep, personal commitment to leading with self-awareness and authenticity. As the owner of Haven Salon, a boutique, luxury salon revered for its commitment to service and education, Helen has painstakingly cultivated these qualities in herself and her staff. She has committed to investing in career development programs that emphasize technical skill building and personal growth. In the beauty industry—notorious for superficiality and ricochet trends—Helen has created an environment where her staff can approach their work as an expression of their personal values like integrity, creativity, connection, and empathy. Human beings are complex, all of us motivated by things we may not be aware of or entirely understand. Helen asks direct questions, and takes the time to listen. She pays attention to details and patterns that may emerge during and after the conversation to see how actions and words align. Helen is committed to holding people accountable for working toward their goals. She teaches critical skills to support a healthy leadership style with clear boundaries and stress-management strategies. 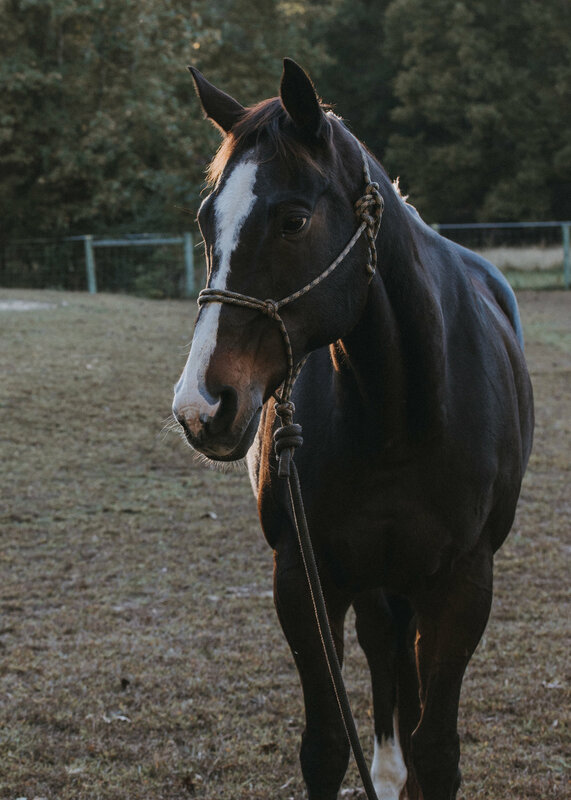 As leader of Sincerus, Helen brings her passion for helping human beings understand their complexity through the lens of the best teachers she's known: her horses. Stormy is an 19 year old Thoroughbred Mare. She came to Frog Pond Farm in 2007 as a wedding present from my husband. She is the sentinel of this group and is always trusted to survey the surroundings and communicate any clear and present danger. Her ability to adapt to changes in herd dynamic with harmony and respect are amazing. She is a natural and benevolent leader and trusted friend. 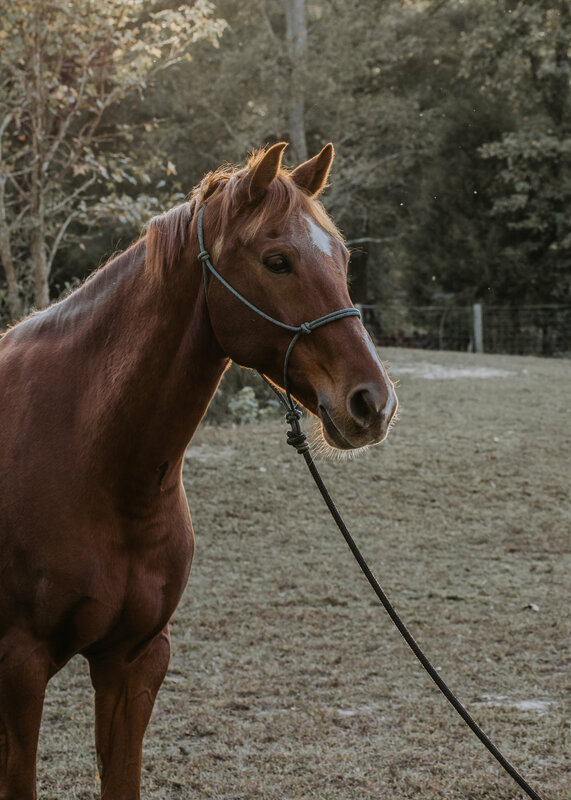 Ripley is a 10 year old Oldenburg gelding. He came to Frog Pond Farm in the winter of 2012. Ripley began his life and education with fear and mistrust. When he came to live here he was overly sensitive and very leery of anyone. Through lots of consistent work and dedication to building trust, we have developed a wonderful partnership. Ripley is incredibly sweet and affectionate. He loves spending time with people while getting lots of rubs and pats! He is a willing and sensitive guy who gets along with everyone regardless of herd changes. Delores is one of the newest members of Frog Pond Farm. She is a 15 year old Belgian Warmblood Mare. Delores is a very confident lady. She has an imposing presence with a kind and calm way about her. She is sensitive and willing. She has become the leader of the herd and is a bit bossy with her herd mates. She loves peppermint candies and 11am naps in the sun.